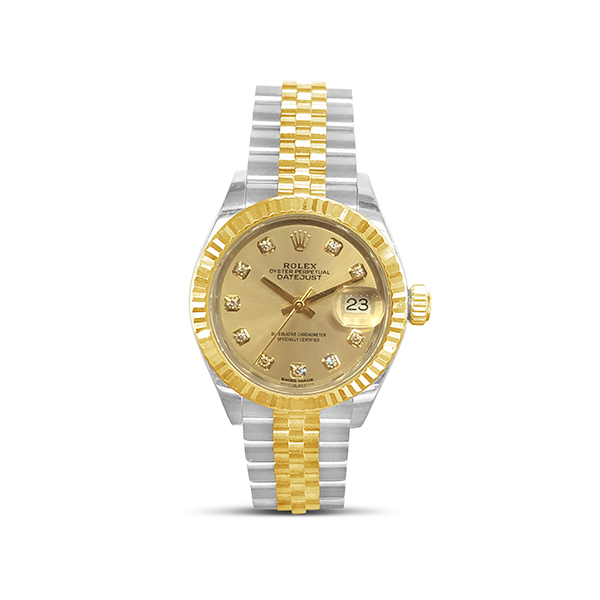 This ladies Rolex Datejust 28mm watch circa 2017 features 18kt yellow gold and stainless steel jubilee bracelet. The watch comes with box and papers. Serial number: 884UT9xx.